Do you have problems with paint cracking or peeling? Bubbles, blisters or cracked paint we have the solutions and fixes to help. 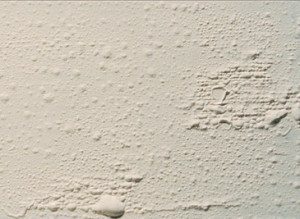 Commonly known as paint bubbles or blisters are created when paint lifts because the painting surface was not properly prepared and therefore little to no adhesion of the paint to the wall is the issue that creates these paint imperfections. 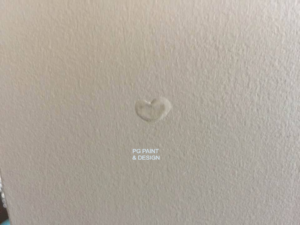 If not properly taken care of the paint will eventually peel from the wall, ceiling or other surface it was applied to. Heat and Moisture or combination of both are causes for why paint can bubble peel or blister. When the paint is applied on a damp, dirty or hot surface the adhesion of the paint will not be the same as in a drier and more normal temperature setting. When painting any interior if there is extreme moisture, humidity or dampness such as in bathrooms, kitchens or basements it is important to make sure the area or rooms are dry before applying any paint. Opening windows, or fans is important to clear as well as dry up the extra humidity on the walls. This allows the painter to apply the paint on a well prepared surface allowing good adhesion of the paint and less chances of peeling, blistering or bubbling. 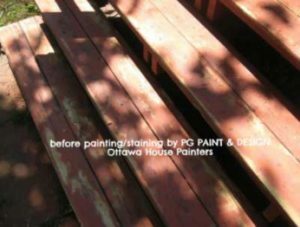 If you paint the exterior of a porch, fence or deck while the sun is beaming on the wood, and the Ottawa temperature is extremely hot and humid a painter would not apply any paint to those surfaces because they would know that the paint just wont stay on permanently. It would eventually peel or blister. It’s the same if you paint right after it’s rained. The exterior wood should be dry for at least 3 days before any exterior painting. Prepare the surface before painting. Scrape and remove the already blistered, bubbled or peeling paint. Properly seal and patch with drywall compound mix. Sanding and cleaning surface before applying a paint primer and before the finish coat of paint. Ensure it is clean, dry and free of moisture and humidity. If it’s a bathroom or kitchen, turn on the fans and or open the windows so that moisture can escape allowing the best possible paint adhesion for interior painting. 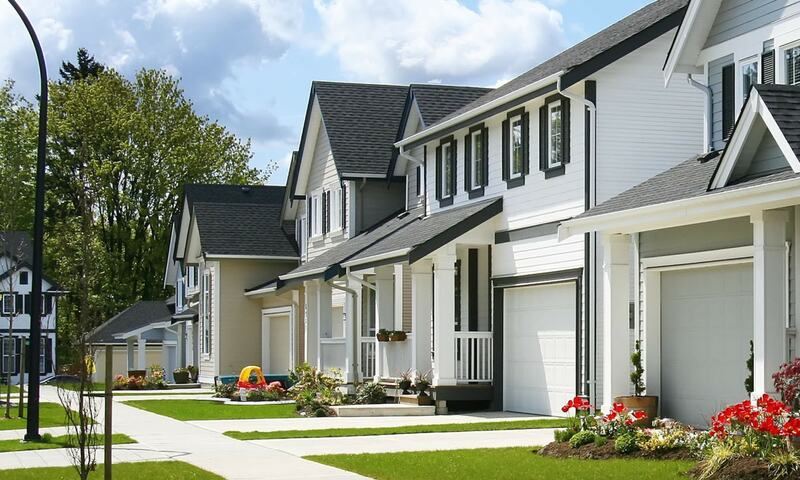 For exterior painting ensure the areas or wood surfaces are dry and that you are not applying the paint in extreme heat. If it’s been raining allow 3 to 5 days for the sun to dry up the wood of the porch, fence or deck you are painting or staining. Be mindful not to paint in extreme heat as again the paint will not adhere properly. Use a paint primer or sealer. Painting with alkyd paint over latex paint can also be the culprit for paint peeling or blistering. While alkyd paint is durable and resistant it is made up differently from the latex paint composition and it can be used for painting over latex paints. 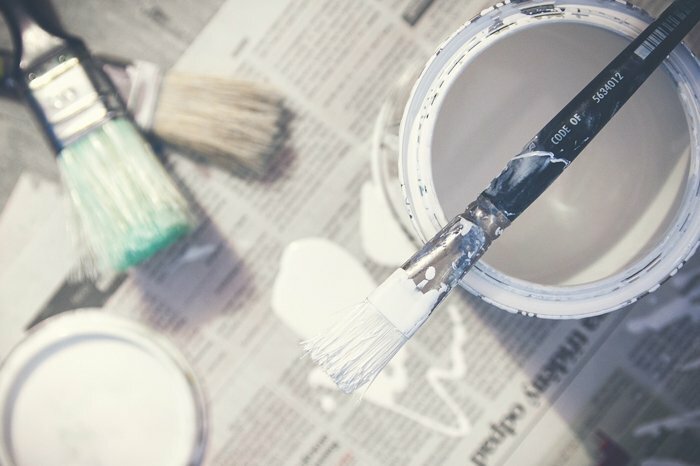 A professional painter would be able to advise you whether there is already a pre-existing layer of alkyd or latex paint and use the appropriate paint product to paint with over these types. Care and preparation is needed before painting over alkyd paints. While you can apply alkyd over latex you cannot paint latex over alkyd. If you must or want to paint with latex over alkyd you must prepare the surface by removing the alkyd paint first, whether that be by sanding or stripping. This will provide the better adhesion results you are looking for. You must also paint a primer first. Alkyd paints are thicker and provide a long lasting coat over any surface area, making it a good choice for high moisture and humidity areas such as kitchens and bathrooms. It keeps its sheen for a long time and stains are not easily absorbed and therefore discolouration does not occur. There are a couple of drawbacks to painting with alkyd paints as they are more expensive and are not environmentally friendly as latex or water based paints. They are compounded with chemical solvents therefore emitting a higher level of VOC’s (Volatile Organic Compounds). High VOC’s paints can cause health problems like headaches, nausea, and breathing disorders. It is also dangerous to expecting mothers and young children. If you are still using alkyd paints you must ensure that it is in a very well ventilated area, you must wear a respirator. Paint brushes and paint rollers have to be cleaned of any leftover alkyd paint with thinners and solvents. Alkyd paints also take longer to dry in between paint coats. This will impact the use of the room or area in your home. At least 24 to 36 hours are needed before any furniture can be placed back in the room the trim and baseboards were painted with the alkyd paints. This is mostly the reason why almost all paint manufacturers today make water based paints as they are safer for everyone as well as the environment. Read more in these related articles on Water Based and Lead Based Paints Differences and the perils of Lead Paints . If you’ve found this information useful please share so that others may be informed. 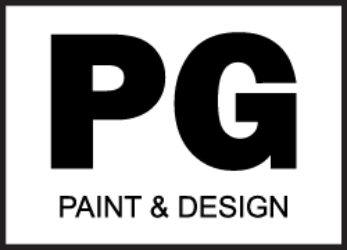 If you have questions for your local painters regarding house painting feel free to contact us for you paint problems and solutions.